By the time this post goes up, I believe the oft-criticised BBC Sound Of poll will have its 2012 longlist published. The bitching has probably already begun. We'll be adding our thoughts at some point. In the meantime, I have contributed to an alternative poll of "ones to watch" for 2012 with a selection of UK bloggers. Our 15 act longlist is below, featuring the likes of The Good Natured and and BASTILLE. 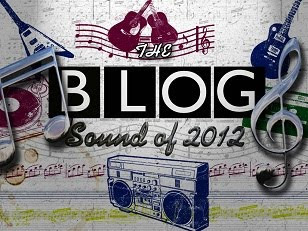 I took part in the BBC Sound Of 2010 poll, which had some strict regulations, but this blogger poll has been more open. I have defended the Sound Of poll in the past but one of the main issues is that it's unclear exactly why people are voting for their choices - is it because they want them to succeed or because they think they will very likely succeed? Or perhaps it's both? This poll is very much about us wanting these acts to succeed however. I've made a YouTube playlist (and a Spotify playlist) so you can press play and sit back and listen to a track from all fifteen of the artists. We'll be posting our own Futuresounds picks in the next few weeks but two of my choices (the ones listed in the first paragraph) for this poll have made it on. As well as some other FG faves such as Daughter and Beth Jeans Houghton. Over thirty bloggers have taken part in the poll, including The Von Pip Musical Express, Sweeping The Nation, Music Liberation, Flying With Anna, and Breaking More Waves. Listen to the playlist on YouTube. Or on Spotify, minus the unavailable Alt-J.